In this 2 minute video, courtesy of the Insurance Industry Charitable Foundation, professionals from across the insurance market share their advice to women who want to become leaders. It is particularly apt to share these insights now, as the IICF "Leading Across Generations" conference was held in London in January. We heard from leaders in our market, discussed diversity, debated how we can unlock future talent and heard inspiring stories of leadership and resilience. If you weren't able to attend I'll be sharing the fascinating insights here over the next few weeks - do Join us! If you would like to get ahead at work but need a little help, why not download our FREE guide? 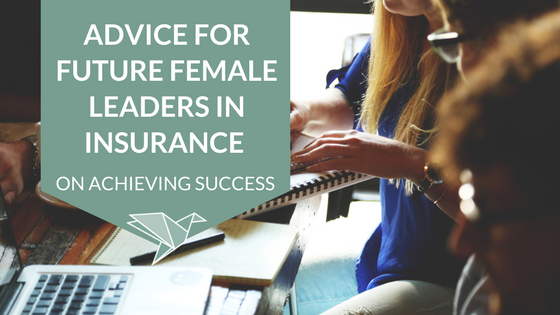 As a young woman in the insurance industry, it is great to hear from more experienced women about what it takes further our career path. Thank you for putting together this video and article!